Find a vacation home to rent in Świnoujście from our list of vacation rental properties. Campaya has over 31 vacation homes available in Świnoujście, which give you the possibility to locate a unique accommodation in Świnoujście which completes your check-list in search for the perfect self catering vacation apartments in Świnoujście or vacation villas in Świnoujście. Enjoy your holiday in the "residence at the Szczecin Lagoon" on the beautiful island of Usedom. 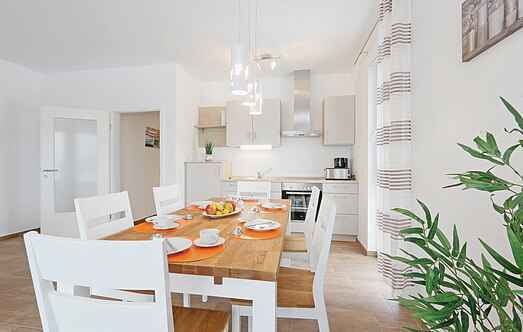 The exclusive apartment in the "residence at the Szczecin Lagoon" on the beautiful island of Usedom is ideal for a relaxing holiday on the Baltic Sea.